From the amazing wildlife to the stunning scenery, John O’Groats and the amazing coast around it will take your breath away at every turn. While many see the village for its iconic ‘end of the road’ location, it’s part of an area rich in Scottish history and culture and deserving of a closer look, with a good choice of accommodation and a choice of local craft shops. There are two focal points in the village: the Post Office and Grocery store (which has a cash machine) and the Seaview Hotel. The other focus is the ‘End of the road’ harbour area, Inn, and main car park. John O’Groats as a destination has a name far bigger than the village itself so sometimes people expect a ‘town’ or more. 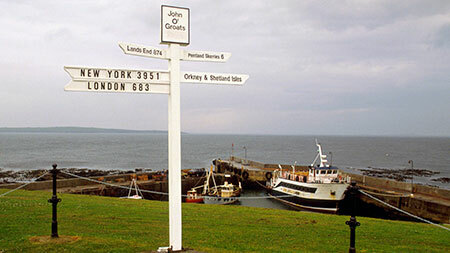 John O’Groats isn’t a Disney World, an Alton Towers, a theme park or even like Land’s End. It is a fantastic, unspoilt location from which the adventurous can see the wonderful landscape and wildlife that is so special to this area and is the real star of the show. 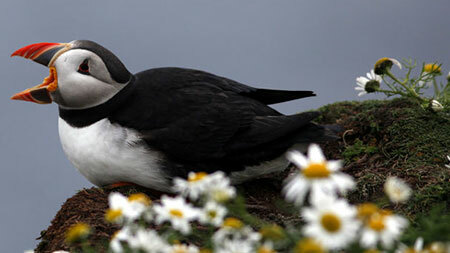 For the less adventurous there is still plenty to do and see at ‘the end of the road’. Book your accommodation DIRECT ONLINE with Lochinver Bed and Breakfast, Ayr. Alternatively, call us direct on 01292 265086.